A fully customizable Digital Wallet Script System, with Wallet and QR Code features. 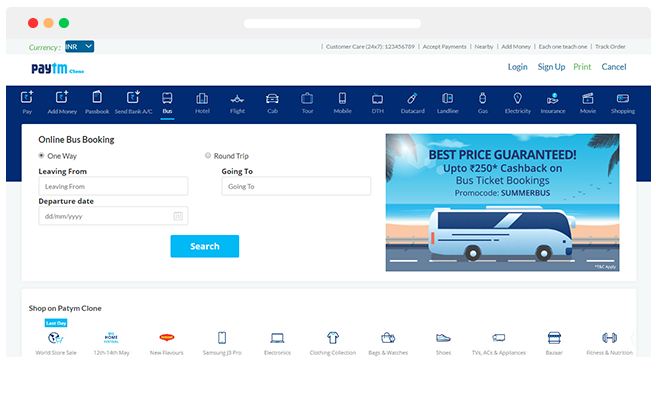 A feature-packed Digital Wallet Script software and ticketing management system to seamlessly manage your Bus, Hotel,Flight Bookings, Holiday packages etc. with payments, promotions and more. Manage all aspects of the Digital Wallet Script System. You will be able to enable and disable your Recharge, Bill Payments and Travel Services here. View All over Agent and Distributor Commission for Recharge, Bill Payments and other services. View Datewise, Weekly, Monthly, Yearly Agent Commission details for all services provided. Add New Zone, View List of Zone available and List of Zonal target achieved, and export details to Mobile/Email. Add New Area, View List of Area available and List of Area target achieved, and export details to Mobile/Email. Add New Channel, View List of Channel available and List of Channel target achieved, & export details to Mobile/Email. Add New Distributor, View List of Distributors available and you can Enable/Disable them. Check List of Distributor target achieved, Deposit request and export details to Mobile/Email. Add/View, Activate/Deactivate Remit Distributors. View Deposit Request, Accept and Reject List. Reverse/Send Amount. View Active and Deactive Remit Agent details. Reverse/Send Amount. Add New Agent, View Active/Deactive Agent. Details of Agent Target Achieved. View Agent Request/ Accept/ Reject List details. Reverse/Send Amount. Export details to Mobile or Email. View user/referred user list, you will be able to enable and disable them. Reverse/Send Amount. Track the device’s movements and determine its location. View Device Tracking Report Details. View Sales details and view sales details done by agents. Add Discount Coupons for your users through Admin. View details of Tikcets raised, you can send a message through this. View Stock, Compare and Wishes product report details. Manage blog from Admin. Add Blog Categories, Edit or Delete them. View All Staff Roles, Create and Manage Roles. Edit or Delete them. View Daily, Weekly, Monthly and Yearly Recharge Reports to aid in data-driven decision making for operations. Manage Hotel, Tour and Holiday Packages. Add, View, Payment Status etc. Manage all aspects of API. Add Apis,View or Activate and Deactivate them at your convenience. Manage all your Markups at one palce. Add Agent, User and Enterprise Markups, Amount and Values. Set a Amount or Value for Commission. Manage all your commision on one go. Add your Gateway details with API Key,Sender ID and details and activate your SMS. Update your Port and Host detils. Manage your Emails through Admin. 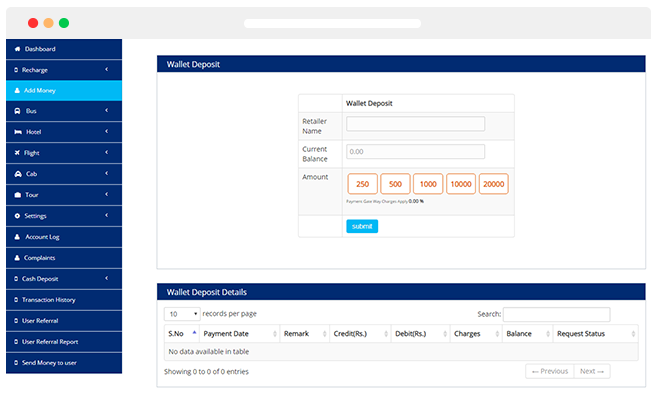 Our Digital Wallet Script supports all types of Payment Gateway. You can add multiple Payment Gateways through Admin. The purpose of banner advertising is to promote a brand and/or to get visitors from the host website to go to the advertiser’s website. Add Currency and Currency code from Admin. You can add Multiple currency from Admin. Your customers get a branded Digital Wallet like Website with Hybrid Apps for both iOS & Android. Users get fully branded IOS & Android Apps for your Digital Wallet Script Website. Easy Recharge and Payments on the Go. Simple and Effective. Select your favourite Operators and Browse plans suitable for you. Filters for Bus, Flight, Hotel, Cab Type, Ratings, Trips, Duration, Arrival & Departure times, Pricing etc. Getting started with the App is Quick and Easy with multiple Login & Signup Options. Seamless booking Flow to make a easy recharges, payments & reservation with an easy process. New QR Code Features. Scan anywhere! Anytime. Scan to Pay. Best Way to Online Shopping. Buy or Sell your Products & Services Online. Accumulate your list of Products for Bulk Purchase. You can add more or Delete Products from Cart. Customers receive all services related alerts via push Email and Sms to stay up to date. Customers can share their Recharge, Shopping & Travel Experience through Ratings & Reviews. Select from the Trip Type you need from One Way, Round Trip, Multi-City, Special Return etc. Signing up with our Digital Wallet Script is simple and free. You can Sign Up through Facebook, Twitter or Google+ Account. Shop by Occassion or Buy a Gift Card for your Loved ones to make them memories to cherish for a lifetime. Customers get all popular payment options to choose from and pay securely at checkout. Promo Codes can be easily applied at checkout to Claim discounts and keep users engaged. Share trip details, reservation chart, pickup points, passenger information with your drivers/operators right on the dedicated mobile app provided to them. Agents can get their Commission using Recharge and Bill Payments in Agent Module. 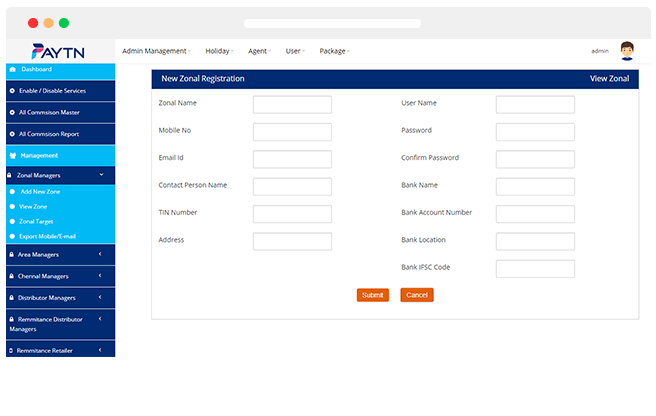 Enter Agency Name, Amount details & Payment Gateway details to Add amount to Wallet. Intuitive real-time booking process. Be it Bus, Hotel, Flight, Cab or Tour. One Tap to clear and more. View Account Log Records of all Booking done. Agents can raise complaints if they are facing any issues. View Cash Deposit Request, Accept, Pending and Reject List. View Daily, Weekly, Monthly and Yearly Reports to aid in data-driven decision making for operations. View Daily, Weekly, Monthly and Yearly Reports of Commission to aid in data-driven decision making for operations. View Daily, Weekly, Monthly and Yearly Reports of Booking Cancellation to aid in data-driven decision making for operations. You can manage Markups in Admin. You can Update the Agent Markup using Agent Booking ID. Agent can refer user using their Mobile Number. Shows details of Users Referred and their Registered Statuses. We are open to adding additional features, integrations, and customization to help your business achieve maximum ROI. Manage your Bookings and Reservations on the go with an Optional Digital Wallet Script Agent Mobile Application. The Geolocation API returns a location and accuracy radius based on information about cell towers and WiFi nodes that the mobile client can detect. You’ll be responsible for staff and you’ll work closely with other senior managers and department managers. Manage sales targets, Maximising sales and profitability. Manage sales of a business’ products or services in a specified region or geographical area. Checkout profitable growth in sales, revenue through planning, execution and management. Retail Outlets. The value of a distributor is in its network of retail outlets. The manufacturer develops contract pricing for bulk purchases with the distributor, and the distributor markets the products to its retail clients. How Digital Wallet Works ? Blockchain-based distributed computing platform & Operating System. Bitcoin Cash brings sound money to the world. Easy for Merchants. Digital currency that enables near instant, borderless transactions. Monero, is a digital currency which is secure, private, and untraceable. Enjin Coin is a token on the Ethereum Blockchain, for Gaming Industry. Dash is Digital Cash You Can Spend Anywhere. Make instant payments online. Enables financial inclusion through the public, decentralized OMG network. Dagcoin is one of the fastest and most easy-to-use cryptocurrencies available. Our Digital Wallet Script is flexible enough to meet the specific needs of the Clients. Web Panels will work smoothly in open source Linux Servers. Tech Team will Inform Client when the configuration & hosting is done. We use MySQL, which is an open source and one of the safest databases. You have to pay minimal price for license renewal every year. Monitoring and Maintaining the computer systems and networks within an organisation in a technical support role.One Year Free Support is provided. Our Digital Wallet App developers have used a robust technology stack that can deliver a seamless booking experience to travelers and increase revenues for bus operators. 1. What is the server requirements for Digital Wallet script ? 2. Is the Script Open Source ? The Script is completely Open Source. Once purchased(on live), the source will be given to Clients. It can be customized as per their needs. 3. Will I get help in Installation of the Script ? The Script will be hosted in our Server. On Final handover, if the Client has purchased his own server. It will be hosted in his/her server. We will help in Installation of the Script with your Cpanel or FTP. 4. What are the Payment Gateway’s the Scripts supports ? Our Scripts supports all types of Payment Gateway, including International. Once Payment Gateway is provided from your side, We will integrate it for you. 5. Can API be Integrated ? Yes. We Integrate API’s. Once the Client’s provide their preferred API. We will Integrate it for them. Minimum an API will be Integrated within a week. 6. Will you guide in usage of the Script ? On Final handover, Documentation of all the Panels will be provided for better understanding. So even a Non-Tech person would find it easy to work with it. 7. Is it One Time Payment Process ? 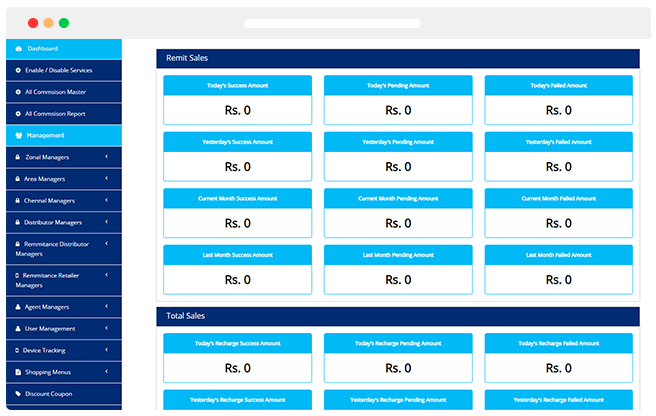 UI, Features will be customized as per Client Requirement, and all these customization’s includes in the given cost. No Hidden or Extra Charges Occur. 8. What Support do I get ? One Year Free Support will be given on purchasing of the Script. In this One Year small Customizations and Bug Fixing will be done. 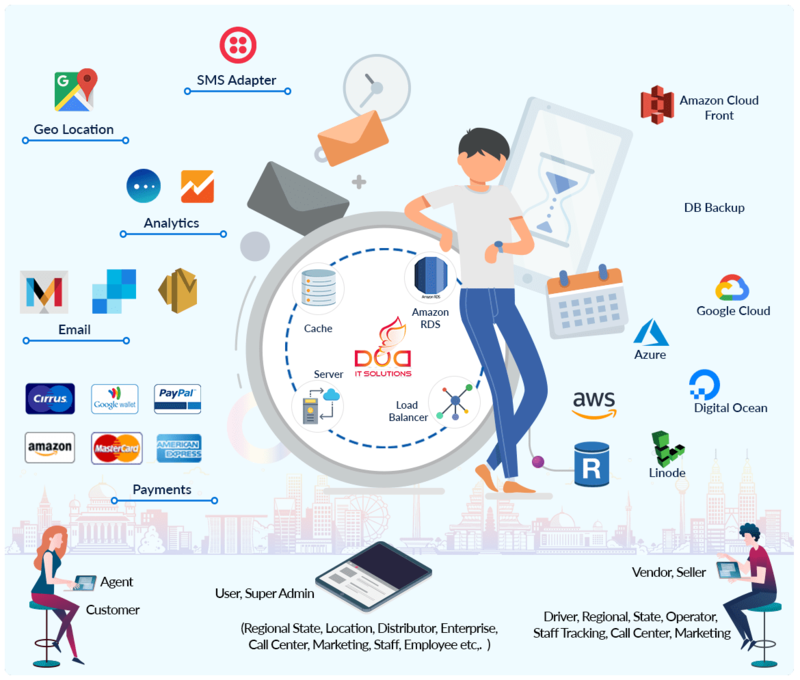 9.Will I get help in getting API Provider ? 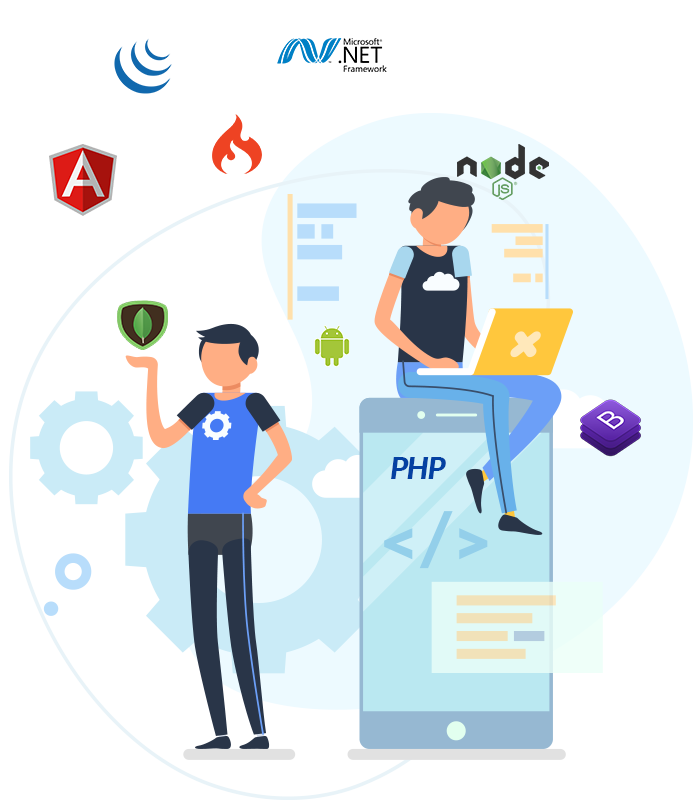 Once the Project starts, We will refer API Providers, so the Client will be in direct Contact with the Provider to get their preferred API. 10. Is the Script Available for Commercial Purpose ? It is not available for Commercial Purposes. The script codes are not meant for Re-sell or Re-distribution. Infringement to which shall make you liable to legal actions.